It’s never a smart move to argue with strangers on the internet. But with all the changes to Instagram and Facebook’s algorithms lately, this may seem like a viable strategy to help your posts get any airspace. Your reach and engagement on social media engagement is largely controlled by social media algorithms which determine who does and doesn’t see your social posts. If your social media posts aren’t interesting enough to provoke a like, share or comment, the algorithms are far less likely to show future posts to your people. Mark Zuckerberg is playing a delicate game: on the one hand, Facebook and Instagram users are decrying the volume of ads they’re seeing and threatening to use the sites less, or leave; on the other hand, if too many users are disengaged because of ads, they’ll make true to their threats and then advertisers will start looking elsewhere as well. So how do you increase your reach, without paying for it? How can you ensure your posts are engaging so that your organic marketing works, without the need for constant watering in dolla dolla bills? If you’re keen to boost your engagement, broaden the reach of your social media content, and do better organic social media marketing, read on. Instagram invited a small group of journalists to their San Francisco office to share how the Instagram feed ranking algorithm – which determines what you see and what you don’t – really works. The Instagram algorithm predicts how much interest you’ll have about a particular post, which includes your relationship with the person posting and the timeliness of the post. Instagram predicts your interest by looking at the genres of content (e.g. yoga, coaching, business, travel, food, etc.) that you have interacted with in the past and the hashtags used in that content. The more you engage (like, comment) with a genre of content, the more of that type of content you’ll see. Timeliness is the next key indicator in the Instagram algorithm – Instagram wants to show posts that are recent which it determines will be more relevant. Instagram will likely show you more recent posts, even when the older post had received a lot of engagement. 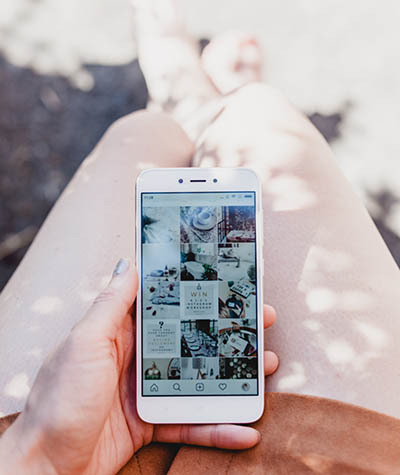 An Instagram spokesperson told Business Insider that ranking of Instagram posts is not a popularity contest, so posts with less engagement that are more relevant to you can still appear right at the top of your feed. Finally, Instagram doesn’t want you to miss important posts from your friends and family, so content from accounts you have interacted with a lot in the past will rank higher in your feed. Facebook’s reputation took a battering followed the Russian ad scandal which suggested that the US Election was heavily influenced by the Kremlin through targeted Facebook ads. Facebook needed to change up its algorithm which had led to intentionally untrue articles, often about politics, that aimed to inflame people’s sensibilities to get the piece widely shared. this CNN story notes. Facebook had become associated with fake news and trust by its users had begun in suffer. In January 2018, Facebook changed the algorithm which brought a huge drop in traffic. Businesses who spent, relied on referral web traffic and leads from the site, or sold products through it were suddenly struggling. So how does the Facebook algorithm determine what you see in your news feed? With inventory, signals, predictions, and score. Inventory is how Facebook refers to all available content, including posts from your family and friends, groups you’ve joined, or pages you’ve liked. Predictions are Facebook’s attempt to decide what content you’ll engage with based on your profile and previous behaviours. 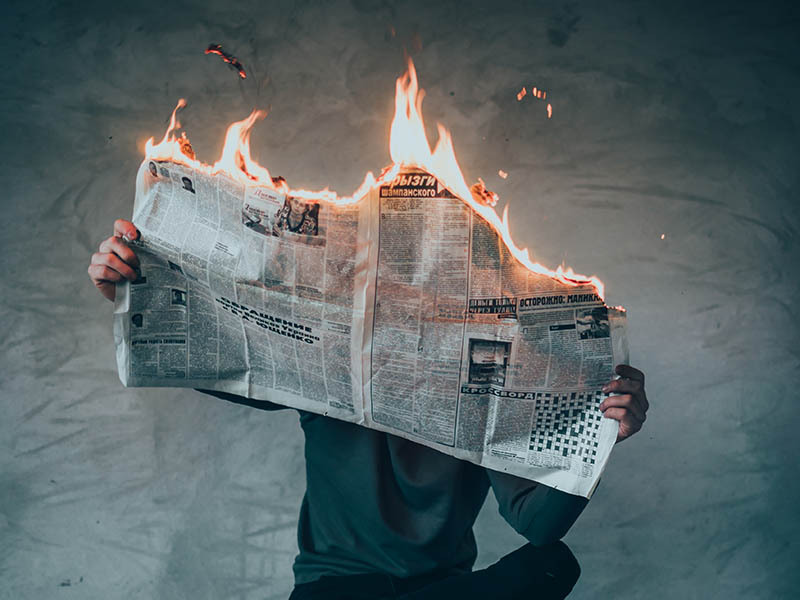 They don’t want to show content on your newsfeed that they believe you won’t engage with, as it means you’ll have a poor experience with the platform and will use it less (this is not to say that they always get this right!). Score is a value given to a piece of content determining its ‘relevancy’ to the user. The higher the relevancy score, the more likely it will appear in the homepage feed. 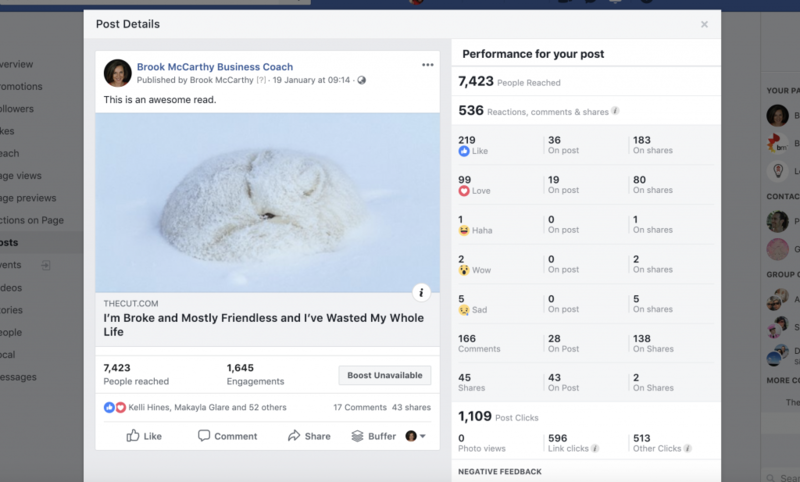 For all the thought that some business owners put into creating an on-brand, pretty feed on Instagram and Facebook, it’s clear that engagement is crucial to the future performance of your posts. In other words, if your posts are not provoking comments, shares and likes, your social media content will have less and less reach, until you are essentially marketing to yourself. The best determinant of an engaging post is to review your Analytics to see what worked in the past. I’m a digital marketing trainer and business coach. I share a lot of useful, relevant articles about digital marketing for small business, ‘how to’ content on social media marketing, and other information relevant for sole traders and small business owners. So why did the above piece – not written by me, and titled ‘I’m broke and mostly friendless and I’ve wasted my whole life’ have such an impact? Here’s where – yet again! – knowing your Ideal Client really is genius. (And also why every single digital marketing course I run includes a segment on better understanding your Ideal Client). Fans of my Facebook page – and their friends – tend to be deep thinkers. They don’t just work for money, they want their work to have a big impact on the world, which is why they become self-employed. They also tend to be quite conscientious, with high expectations of themselves, not just in the quality of work they deliver, but in the quality of their personal relationships. Therefore, they worry that they’re not doing enough. They could even skew towards melancholia. Of course, not every fan of my Facebook page will fit the above description. But over the last 11 years in business, I’ve met and worked with so many people, and formally and informally interviewed them. This means I’m better able to understand what pieces of content are likely to be engaging. Of course, I don’t always get it right. But having an insight into the psyche of your Ideal Client means you can create and curate content that’s more likely to be engaging. This post on my Instagram – see right –had a massive impact, with far higher-than-normal engagement. Again, it points to the psyche of my Ideal Client – self-employed, often sole traders, who are juggling a million balls, oftentimes very stressed, working with uncertainty and unpredictability (including of their social media reach!). Can you be provocative and supportive? To provoke engagement, we need to provoke emotions. We need to talk to something important, which – in the two social media examples above – is oftentimes negative. The problem with too much of this is that it becomes click-bait. I’ve seen countless businesses attempt to pick fights on social media to stimulate debate. What tends to happen is that discerning, sensitive, deep thinking people disengage and unfollow (incidentally, people who match my Ideal Client profile!). Those who are sincerely interested in the conversation are frequently burnt by the over-zealous business owner who’s attacking them so that they can provoke further engagement and court controversy. People don’t feel safe and supported, so they go elsewhere for conversation. As the Facebook fake news scandal showed, acting too cynically in a brazen attempt to get engagement and further your reach online will have push-back. At the very least, we’re seeing far more cynicism and far less trust, which isn’t good. So is it possible to be both provocative – to say something that engages and provokes a response from people – without being continuously negative or tipping over into unbelievability? Is it possible to be both provocative – to say something that engages and provokes a response from people – without being continuously negative or tipping over into unbelievability? The key is, once again, to know who you’re seeking to attract. People want to rally with someone or some business they believe in, which means you need to stick your neck out, declare your values, and decry what you’re against. You need to be okay about using your marketing to both attract and repel people (the people who aren’t a good fit, and who will naturally self-select out by clicking away, unliking or unfollowing). But perhaps most importantly, you need to become skillful at applying the negative and positive in equal measures. The light and dark of life exist together. Businesses and people who are relentlessly positive or relentlessly negative tend to have less credibility, and far less engagement, because they’re less believable. When you’re creating social media posts for your business, stand for something – and stand against something in order to heighten your engagement. Have an opinion. Share what you don’t like and disagree strongly with, not just what you like and agree with. If you want people to pay attention, say something worthy of this. You’ve worked this hard to get comments, so don’t ignore them or treat them like a burden. Your social media comments are great fodder for further social posts or business blogs. I teach and recommend that you schedule your social media. Because you want to do social media marketing quickly, yes? And have a life away from your screen? I recommend you check your Instagram and Facebook Analytics regularly. Once a fortnight to once a month. This informs what you’ll schedule next. Want more? Join me in Melbourne, Brisbane and Sydney for my upcoming Social Media Savvy course, where we cover all the above, and more. I’ll share my system to make your social media fast, and far more effective.